Chinatown is a delightful reminder of the early multicultural mix of people in Broome. 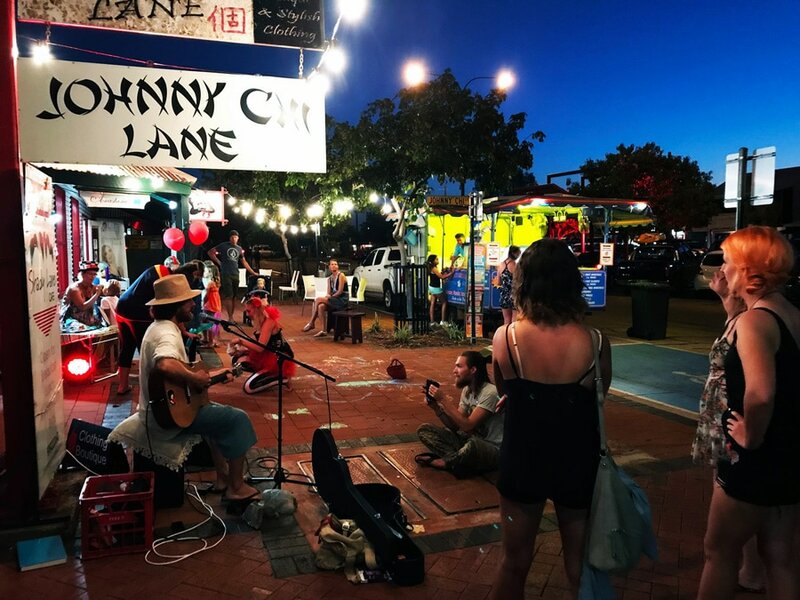 Take a wander through this original commercial centre of Broome, which was once the bustling hub of pearl sheds, billiard saloons, entertainment houses and Chinese eateries. Chinatown is now home to some of the world’s finest pearl showrooms along with a variety of retail outlets. Sidewalk cafes add a splash of colour to the pavements.